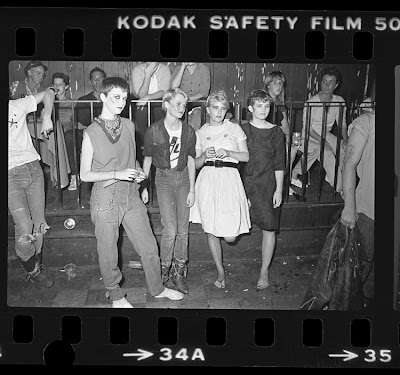 Four women dressed in punk-new wave fashion at Starwood disco in Los Angeles, Calif., 1980. This image was originally published in the Los Angeles Times on September 21, 1980. The caption printed with the photo was, "The punk/new wave look shines at the Starwood disco. From left to right, Skipper Smith, Stephanie Smith, Danielle Myers and Maggie Murphy." Oh, where are you now, Danielle? I stumbled upon the image while browsing through the Changing Times: Los Angeles in Photographs, 1920-1990 collection at the UCLA Library. It is a great collection of photographs, including a great deal of youth culture images, and has a very nice cataloguing of people, events, and issues. Hit the Browse Subjects link and get lost for a while. I will be spending a lot more time there, I'm sure. 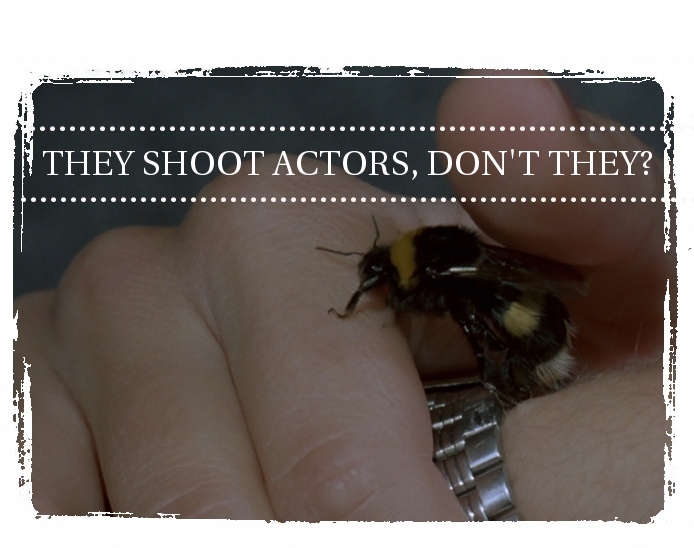 I must make a point of tracking down some of these LA Times scene reports the photos were culled from, as well. But cmon, girls, put on some shoes. That floor is disgusting. 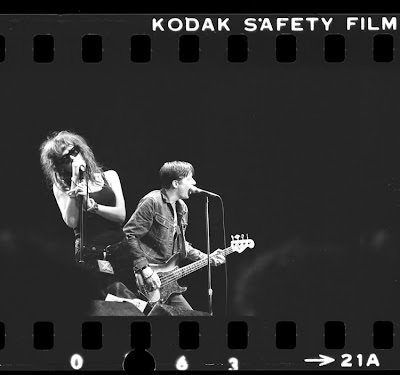 X's Exene Cervenka and John Doe performing at the Greek Theater, Calif., 1983. Printed in the LA Times, September 24, 1983. 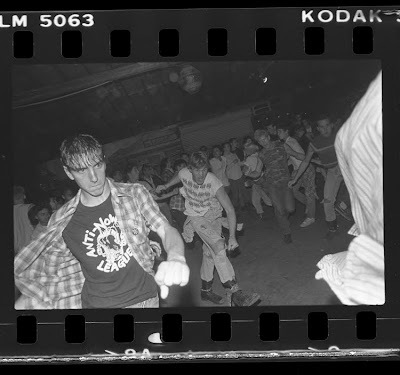 Slam dancing during Black Flag concert at Mi Casita in Torrance, Calif., 1983. Printed in the LA Times, January 16, 1983. 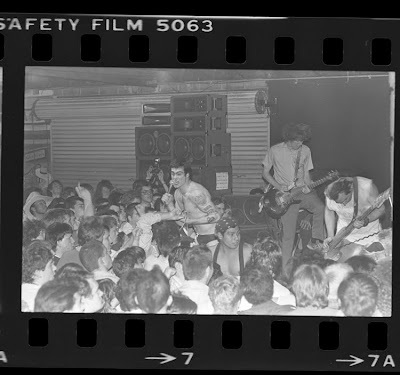 Black Flag performing at Mi Casita in Torrance, Calif., 1983. Printed in the LA Times, January 16, 1983. I went to high school with the Stephanie Smith named in the above picture. I remember seeing the pic in the newspaper and thinking it cool. Seeing it again 30 years later is creating a wish for such a vibrant music scene to emerge again...anywhere! And I'm with you on that. It's hard not to be overly nostalgic looking at those old shows.